Please carefully read all the information below regarding what is required regarding the purchase of one of our kittens or adults. Our 2018/2019 Breeding Season has commenced. We sometimes have retired adults looking for forever indoor homes. They are $500 - $700 depending on age which covers the cost of their vet work (desexing, vaccinations, worming, parasite treatment etc). They can be flown to most destinations in Australia at the buyers expenses e.g. Flight to Sydney including a new airline approved travel crate is $250. ​Please read our information below if you are interested in owning one or our kittens or adult cats. Click on the icon below to register your interest in purchasing one of our kittens or retired adults. Please tell us about yourself and the home you can offer a Verdellho kitten or cat. "Like" our Facebook page to receive notifications and photos of our current and upcoming kittens and cats available for sale. The icon below will take you to our Facebook page. 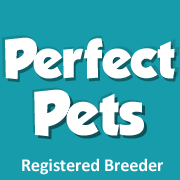 We are a small cattery in Northern NSW, out of which some kittens are specially selected to become loving family pets to adoptive families. Kittens are not available all year round. Many people do not realise that there is a kitten season. They discover this fact when they try to purchase a kitten during the winter months, when they are few and far between. Kitten season is the time of year when cats give birth. Kitten season is really three seasons in one, starting in spring, peaking in late spring or early summer, and ending in autumn. 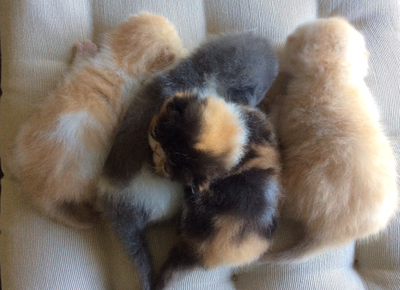 All kittens maybe ready for their new home from 12-14 weeks of age (no earlier), depending on the maturity of each individual kitten and their desexing process. They are microchipped, two vaccinations, flea treated and wormed, litter trained and most importantly also desexed before leaving. Our cats are guaranteed PKD free. They are also accompanied to their new home with a kitten care booklet with all paperwork included and leave with six weeks of complimentary pet health accident and illness insurance as well as 2kg of Royal Canin Kitten food and 2kg of Oz Pet Litter. Cost for each desexed Exotic (shorthair) kitten is $1600. 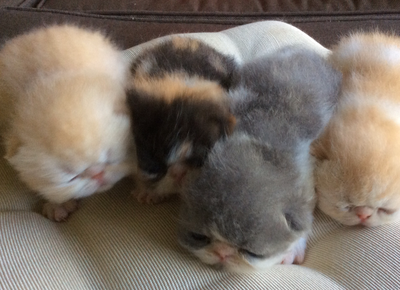 Cost for each desexed Persian (longhair) kitten is $1400. A $300 non refundable deposit will be required to hold a kitten at around 8 weeks old with the remainder paid in full at time of collection of your kitten. If your kitten is being flown to you the remaining balance is due one week prior to delivery to the airport. ​The only situation where the NON REFUNDABLE $300 deposit will be refunded is if the sale is cancelled by us. We reserve the right to cancel a sale at anytime. Deposit must be paid within 48 hours of receiving our Invoice. This deposit will deducted off the full price of the kitten . A kitten is not considered to be sold until the deposit is paid. The balance is to be paid in full when your kitten is ready to be freighted or picked up to go to its new home. WE DO NOT ACCEPT PAYMENT PLANS. Payments can be made by Bank Deposit or Cash. We do not accept PayPal. ​Kittens can easily be flown air freight to any destination within Australia at the buyers cost. Costs for freight are around $250 (including a new airline approved travel crate) depending on destination. Two kittens can travel in the one crate for no extra cost. Please note that food and litter packs will not be available if your kitten needs to be freighted to its new home. Our kittens and adults are subject to a Sales Agreement outlining both the Sellers and Buyers responsibilities. Our Sales Agreement is available for your perusal on request.